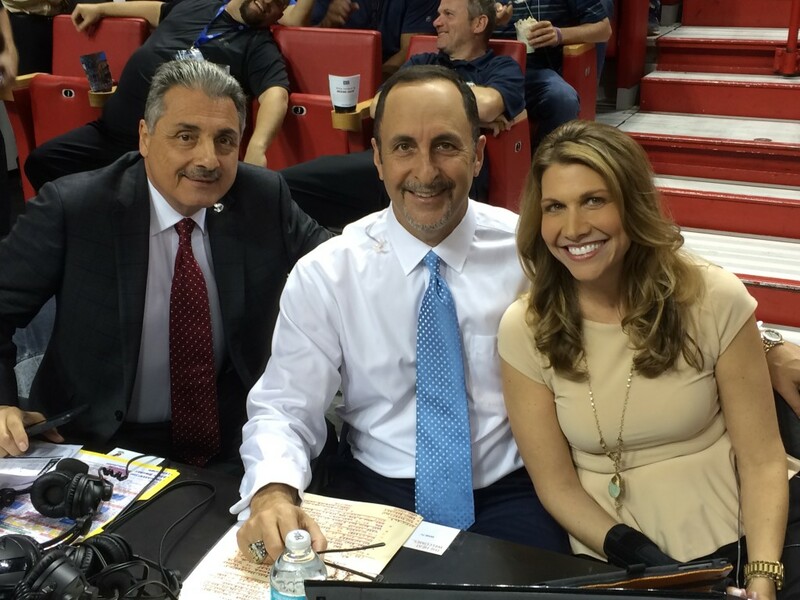 Eric Reid has been the television voice of the Miami HEAT since 1988, and last night the team honored him for calling his 2000th game. He has created many memorable calls, “Kaboom!” though being his signature phrase. I had the pleasure of speaking to him about this incredible milestone. And here’s a little inside scoop, his actual 2,000th game is really this Sunday when the HEAT play Philadelphia, but because it’s the Kids Sunday broadcast we honored him a tad earlier. I always love hearing Eric’s stories about the original HEAT teams, and his passion and love for the game is truly infectious. By the way, if you’d like to learn how Eric prepares for a game, he shared his top secret cheat sheet with me! Love the Miami HEAT? Check out Udonis Haslem in the hot seat being interviewed about parenting! And follow along on FACEBOOK for more great stories! Two thousand, wow that is impressive! Looks you have still been super busy on your mini blogging break. I hope your family is doing well. I have but need to get back into it! Two thousand games! I wonder how many shoe squeaks that would equal? 😀 Seriously though, congratulations to him! Hi, Kristen Hewitt, How are you? It is Anthony Perez from Hialeah, Florida at home. I hope that your family is doing good. Love u alot. Lets go Heat 35-26 at 8-53 Philadelphia 76ers 3/4/16 @7pm on foxsportssun Basketball game tonight. Take care. Bye.